DEMYDIV: Dozens of people gathered to pay their last respects to Iryna Nozdrovska, an activist lawyer whose killing sparked public outrage in Ukraine, ahead of her burial in her hometown outside Kyiv. 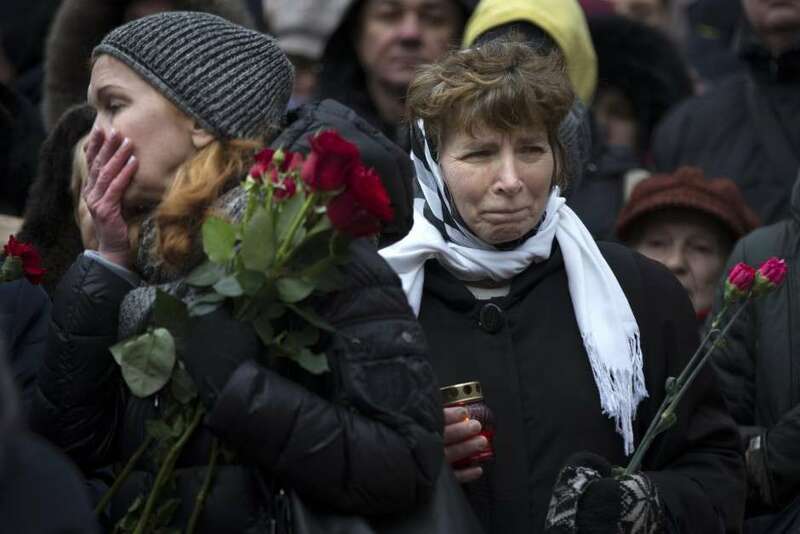 Mourners placed flowers in the yard outside Nozdrovska’s home in Demydiv, a village in the Kyiv region where she is to be laid to rest in a cemetery on January 9. Nozdrovska went missing on December 29, after she helped ensure that the man convicted of causing her sister’s death was not released from prison in a case seen as a test of Ukraine’s ability to prosecute suspects with links to people in power. The 38-year-old lawyer’s body was found in a river not far from Demydiv on January 1. Police later said she had died of multiple stab wounds. Nozdrovska had been the target of threats for her efforts in the case of Dmytro Rossoshanskyy, who was convicted of causing the death of Nozdrovska’s sister, Svitlana Sapatanyska when he hit her with his car while driving drunk in 2015. On December 27, amid efforts by Nozdrovska to raise public awareness about the case, judges rejected an appeal by Rossoshanskyy — the nephew of a district judge in the Kyiv region — to overturn his seven-year prison sentence. Interior Minister Arsen Avakov said on January 8 that police had arrested a suspect in Nozdrovska’s killing. He did not name the suspect, but Ukrainian media reports cited unidentified police sources as saying it was a close relative of Rossoshanskyy. Activists say suspects who are relatives of officials often avoid prosecution or conviction or are released early — a result of corruption that Western officials say harms the economy and hurt Ukraine’s chances of throwing off Russian influence. Russia seized control of Ukraine’s the Crimean Peninsula in 2014, after a military occupation, and Moscow backs separatists whose war against government forces has killed more than 10,300 people in eastern Ukraine since April 2014.